Akira Kurosawa’s 1950’s classic “Rashomon” was groundbreaking for several reasons. Even if the Japanese director had been making films successfully since the 1940s, “Rashomon” was the true breakthrough for him on his home turf, with awards accolades and critical recognition occurring immediately. Add to that, it was the first Japanese movie to really be successful overseas in the United States and Europe, leading the director to international acclaim there as well. Lastly, and most importantly, it rewrote the rules of a film’s narrative: it told the same occurrence over again from three separate times, yet each time the events are recalled by a different person, and their personal view on the situation would slant and alter, compared to the others. Thus, creating the Rashomon Effect, a specific narrative device used throughout the years by other filmmakers in other movies. So, let’s take a look at some of these key examples. David Fincher was no stranger to directing nail-biting thrillers with a heavy mystery slant, making him an unsurprising choice when signed on to adapt Gillian Flynn’s bestselling novel. 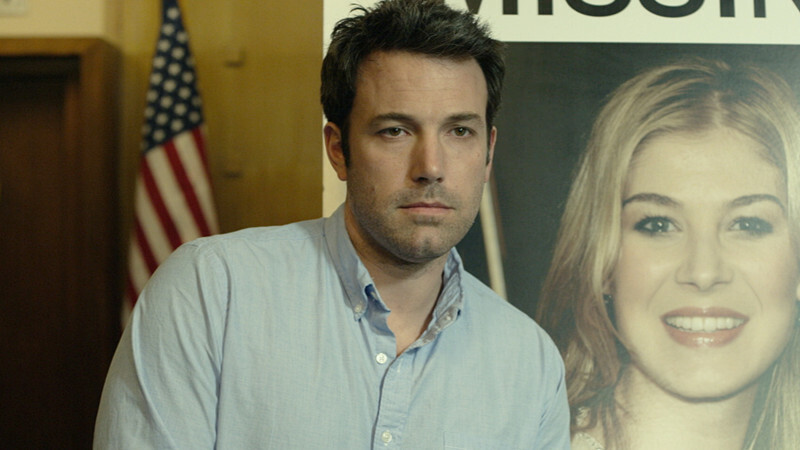 The first half of the film plays as a tense slow-building suspense film in his trademark approach, and focused on Ben Affleck’s jaded husband. He becomes suspect number one when his wife (Rosamund Pike) goes missing. The audience follows his plight and is fairly sympathetic, if though near the end we begin to question his trustworthiness as an innocent and upstanding husband. The carpet is pulled out from underneath the audience, though, when the truth about Pike’s ‘disappearance’ is revealed, as suddenly the timeline jumps back and things are told from her perspective. Quite refreshing as well; it isn’t a last-minute twist, but only the halfway point of the story, leading to a fine variation on the Rashomon Effect as it suddenly replays former events but has us looking at them in a whole new light. 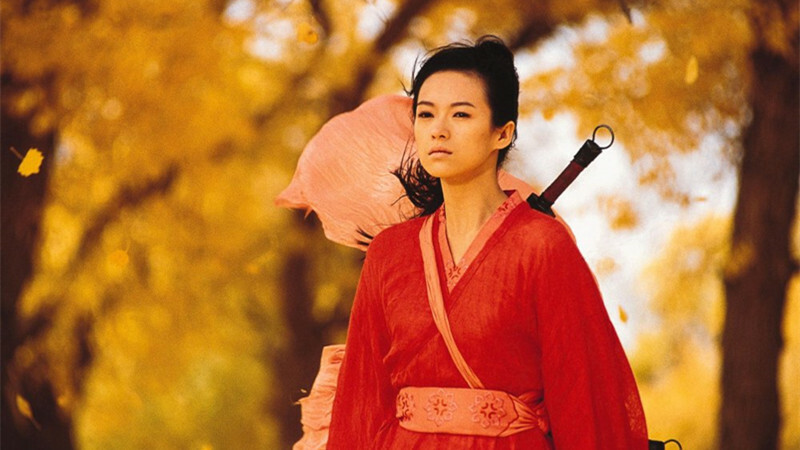 Zhang Yimou’s first venture with big budget Wuxian spectacles still remains his best poke at the genre. 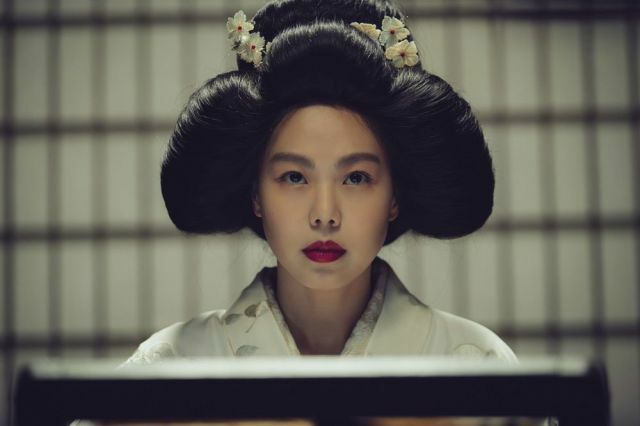 The visuals are gorgeous, the action elegantly filmed and choreographed, and a who’s who of A-list Hong Kong talent fills the entire roster in stellar performances. Also, quite superior to usual action fare is the film’s clever story structure, a device it lifts from Kurosawa’s 1950s classic, of course. Jet Li’s nameless mercenary gains an audience with China’s emperor to share a tale of his eliminating of three famed assassins who stood as major threats to the ruler. We recount Li’s version of the tale, only for the emperor himself to reinterpret events and share his own hypothetical thoughts on what Li has just spoke, before an inevitable twist in the third act pulls everything together. Each version of the story is is elegant and stunningly directed with each alternative emotional pathos and a fierce colour palette to signify each version. It borrows the aesthetic of Kurosawa’s structure, yet twists it into something that syncs very much up to Yimou’s obsessions as a filmmaker. It’s a gorgeous and carefully made piece of spectacle, with a smartly plotted structure in a memorable twist on the Rashomon Effect. Edward Zwick directed Denzel Washington in yet another superior performance, this time in a fairly straightforward lift on the Rashomon Effect, melding it into a war movie and its familiar thematics and pathos, yet giving it a fresh coat of paint (at least aesthetically) with its approach. Washington is a desk-bound lieutenant haunted by a traumatic tour during Desert Storm. He’s put in charge of simply signing off on the paperwork for Meg Ryan’s captain to receive a posthumous Medal Of Honor, yet his persistent determination to find purpose in the war has him unveiling an ugly truth behind supposed events. The lead essentially becomes a detective as he tracks surviving members of Ryan’s crew down, with each witness statement coming out as vastly different, from Ryan being the stoic soldier who sacrificed herself to save the crew, to her being a snivelling coward that turned on her soldiers and died a justifiable sudden death. It’s a fine device that lends itself nicely to Zwick’s (at times) pandering message piece. With some fine performances and battle sequences, some of the pathos may be a little Hollywood, but its use of the Rashomon Effect gives it an edge in building an involving story. 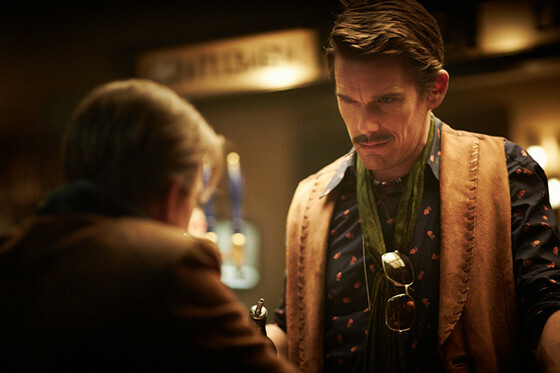 “Daybreakers” directors the Spierig brothers teamed a second time with Ethan Hawke for this mind-blowing sci-fi mystery that will keep you guessing throughout its running time, before dropping a mind-blowing twist in its final moments. Hawke is a time-traveling enforcer on an adamant mission to hunt down the “Fizzle Bomber,” a terrorist who makes a specific attack in 1975 New York. Soon, his story intertwines with a troubled woman played by Sarah Snook, a relationship that unravels in a series of time-travelling set-pieces that eventually alter all the initial events we thought we knew. This genre film is not a direct descendent of “Rashomon,” as it’s not a story told in fragmented alternative perspectives, although that’s actually not fully clear until it’s third act, which reveals we’ve actually been following a single narrative path the whole film. Until that point, though, it feels very much like a time-travelling spin on the Rashomon Effect as characters jump back and forth to specific events in time, and armed with an ever-building sense of revealing its true mystery. So, it comes down to tricking an audience into thinking that it’s paying homage to Kurosawa’s movie, before pulling out the carpet and revealing it hasn’t at all, in this tense and nutty genre piece. A fine variation on the principles of Kurosawa’s movie, yet successfully customising the mechanic in the aid of a gripping and mind-screwing thriller by future blockbuster makers Bryan Singer and Christopher McQuarrie. 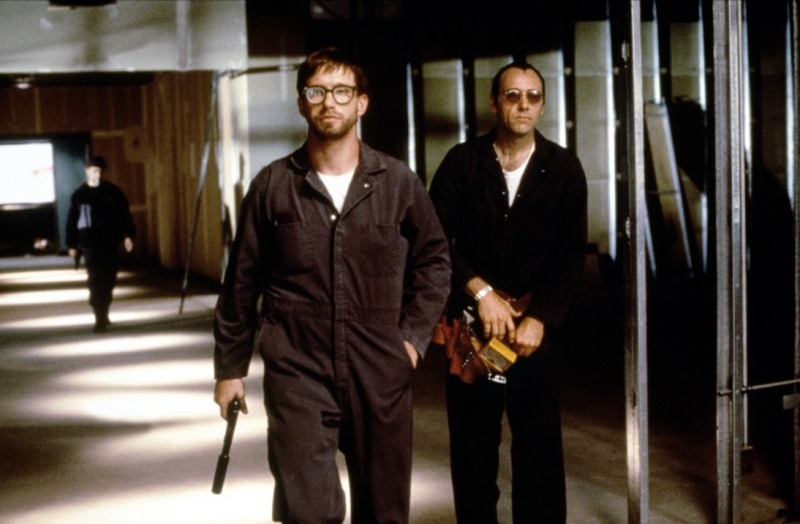 Centred around the aftermaths of a harbour heist gone very very wrong, the one living suspect (Kevin Spacey) is tirelessly interrogated by tough cop (Chazz Palminteri) to get to the bottom of this convoluted plot, which all ties in together to a elusive crime puppetmaster named Keyser Soze. As Spacey’s mild-mannered robber unveils complex revelation after revelation, so gripped by the plot the audience becomes that most don’t think twice about the factor that the entire story is basically hearsay from his character – a man who is (possibly) a master manipulator and who has just fed Palminteri and the viewers a massive pile of horse pat. And therein lies the stunning cleverness of McQuarrie’s Oscar-winning script, taking the purpose of the Rashomon Effect yet submitting the audience to it without their knowledge, and with it leading to one of the greatest final twists of all time.